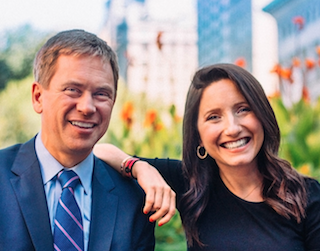 Everyone’s favorite news anchor, NY1’s Pat Kiernan, is launching a live talk show series with NY1 traffic reporter Jamie Stelter. Pat and Jamie’s New York will feature interviews with famous/interesting New Yorkers and debuts Oct. 30 at the 92nd Street Y. The first show includes a talk with Girls actor Alex Karpovsky, Wall Street Journal sports columnist Jason Gay and more. For additional info and to purchase tickets to a show, check out the Pat and Jamie’s New York site.